Enhanced liquidity discovery, automation, transparency and cost-efficiency for investing in equities, indices, derivatives, funds and ETFs. Over the past few years, European financial markets have seen revolutionary changes: disruptive technologies and the MIFID II regulation have resulted in clients’ needs evolving and new trading models emerging. Euronext, the leading pan-European exchange, has been attentive to these evolutions and is ready today to meet the buy-side’s requirements in various asset classes with a set of robust initiatives. Our solutions for equities and ETFs aim to provide enhanced liquidity discovery in the fragmented market structure, while our products for indices and derivatives help investors to reduce overall cost by supporting the full investing process cycle. Our funds service enables increased automation and transparency. In equities, market participants are looking for new ways to trade blocks safely and proactively. In response, Euronext launched a new block trading MTF, “Euronext Block”. Through our sell-side members, the MTF enables the buy-side to trade blocks by signalling interest to selected counterparties through Invitation-to-Trade messaging. The MTF is fully MiFID II compliant and designed to address the impending dark double volume caps. All orders must be Large-in-Scale or above, and they can be either firm or conditional. Euronext Block offers improved liquidity with its randomised auctions, enables price improvement and increased chance of price discovery, and our pro-rata volume allocation algorithm favours size over speed. Trading is available on over 3,200 pan-European instruments and is currently supported by eight members. Since it went live in August 2017, Euronext Block’s average trade size reached over €1 million, with a record trade to date of €3.1 million on Daimler, and we observed on average approximately 8bps of price improvement. Euronext Block will soon add new enhancements to further assist liquidity discovery. Our Nominated Client Programme will offer a tri-party agreement registration to end users (buy-side) and members (sell-side), to provide robust best execution analytics based on Client ID or session usage. Additionally, Euronext will soon kick off a client consultation on mid and small cap execution. As Euronext Block is seeing increased client engagement, we believe it is well positioned to become the European block trading venue of choice. With Euronext Fund Services, Euronext is well-established on the Paris and Amsterdam markets to offer investors a primary market/NAV trading platform for non-ETF open-end funds. It allows asset managers to list their funds on the Exchange, and investors worldwide (institutional and retail) can then access the funds easily through their broker to send subscription/redemption orders. The service has been in place since 2007, with 250 funds (UCITS and AIFS) listed to date by 33 asset management firms in Amsterdam and Paris. Euronext Fund Services is MiFID II compliant, removing retrocessions and introducing more automation and transparency. This service revolutionises fund investing by offering a STP order routing model via the exchange and its member brokers. Investors don’t need to fill out the KYC procedures to be registered as a shareholder of the fund share class, since the whole procedure is handled by their member broker and NAV orders are notified directly to him. Investors also benefit from their broker’s settlement/delivery infrastructure and can select their funds through our specifically customised Morningstar fund data tool on Euronext’s website. This broker-neutral service will help investors enhance their investment strategy. Asset managers who list their funds also benefit from increased visibility with a broadened base of investors around the globe. Clients have told us that they are looking for an alternative to the high price of existing European index offers. 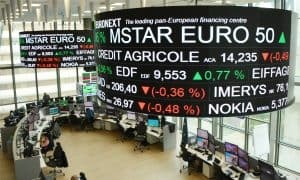 Euronext is working with Morningstar, the leading global provider of independent research and data, to create two new European indices – the Morningstar ® Eurozone 50 Index™ and Morningstar® Developed Markets Europe 100 Index™ – and associated derivatives. The new indices provide exposure to the largest and most liquid companies in the Eurozone and European developed markets, and are built for creation of cost-efficient investment products (ETFs, ETPs and structured products) by asset managers thanks to a competitive licensing fee. They offer free access to their constituent holdings on a monthly basis for portfolio construction and risk monitoring. Finally, to support the full indexing cycle and benchmarking, Euronext created index futures on both indices. These derivative instruments are priced competitively and aim to provide an effective hedging and risk management tool. With liquidity provided by trusted market makers, they are traded in a transparent and secured environment at Euronext with clearing provided by LCH S.A. Options on the indices will be added later this year. Later this year, Euronext is launching a one-stop shop pan-European ETF trading platform, developed in collaboration with significant players in the ETF industry. The platform will give investors access to all 7,000+ European listed ETFs, available via a standard order book and an unprecedented multilateral NAV trading, both complete with a RFQ model. It will also offer flexible settlement and dark order functionality. This platform will meet the needs of clients in a currently opaque market, help increase liquidity and achieve best execution, and improve operational efficiency. Euronext works to stay agile, innovate and put its customers first. Our products and services are designed to provide the buy-side in Europe and beyond with a truly unique, cost-efficient and trustworthy trading alternative to drive their growth effectively.